Apart from the handful of models not successfully making the transition from car to hearse, most manage to convey a look comprised of the adjectives, grand, regal, sinister and evil. The stretched black vehicles, gliding their occupants’ empty shells to their final place of rest also naturally earn big respect. I’ve had my fair share of experience driving hearses, as I once worked as funeral assistant. In fact, my post, The Dead Travel Fast, catalogues my tales of woe concerning the transportation of corpses. 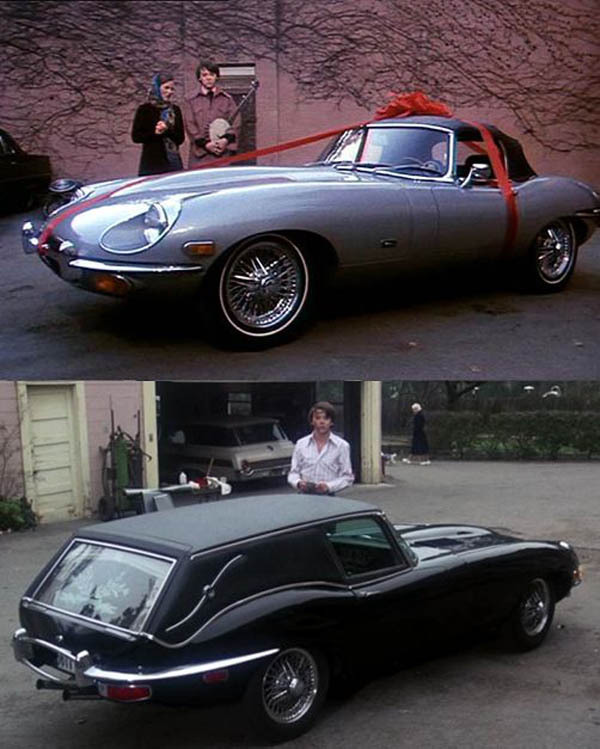 One of my personal favourite hearses comes from the 1971 comedy Harold and Maude, a Jaguar his mother buys him after she disapproves of his first choice of car, a Caddy hearse. Not best pleased, Harold transforms his gift into a sports hearse. 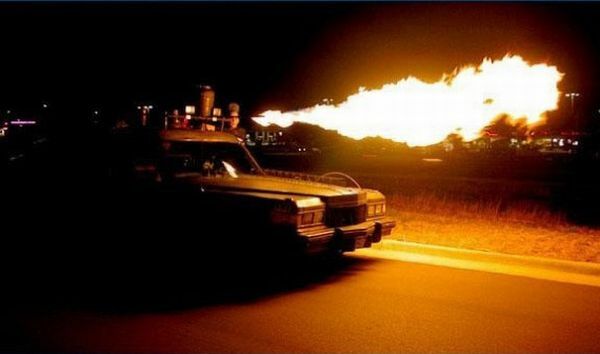 Taking of Cadillacs, take the monster above, for example, the love child of Ghostbusters and Mad Max. 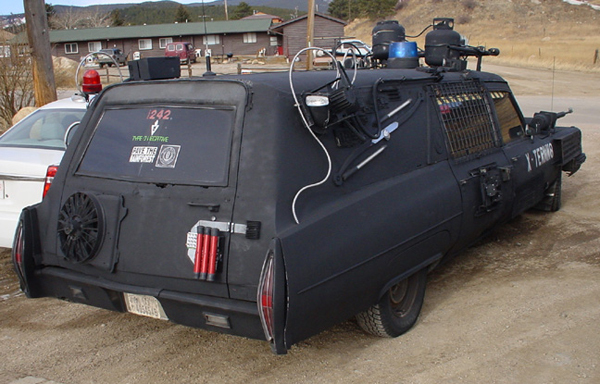 Known as the Alexis Funker Hearse, this fire-breathing death machine just highlights what can be done with a little inspiration and versatility – hearses may be long and black, but they can be made to suit all walks of life. 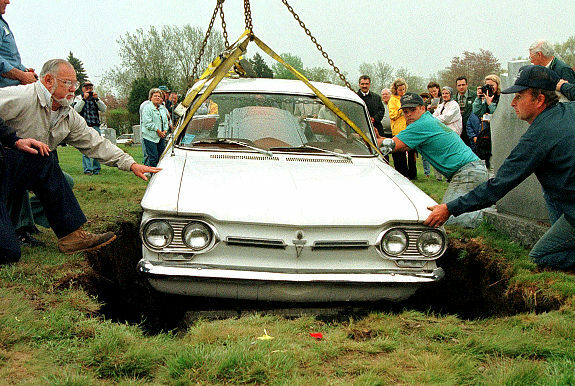 About a year ago, I wrote a post simply titled, What Car Would You Be Buried In?, understanding the special bond between car guys and their pride and joys. 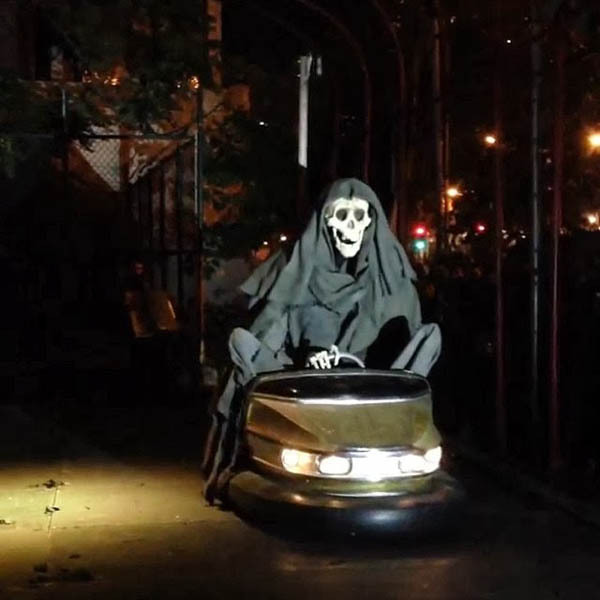 I think if I couldn’t be buried in my favourite car, I’d like to know my corpse took its last final ride in it. So, my morbid and twisted followers, what car would you turn into a hearse, knowing it was going to be your final ride? This is a touchy subject for me, as watching cars meet their end is always a sad thing. Cars are loyal and reliable (unless they are Italian) friends, butlers and chauffeurs; they transport us to work, give us pleasure, whisk us to important meetings and special occasions. They save us time (unless they are Italian) and shelter us from bad weather. An old car wears its dents and scrapes, rips and tears, stickers and badges with pride, and to see one crushed is like watching the dog in Marley & Me going to doggy heaven (yep, I welled up at that, too). Some cars are the real stars in movies, but how many of them meet their maker? 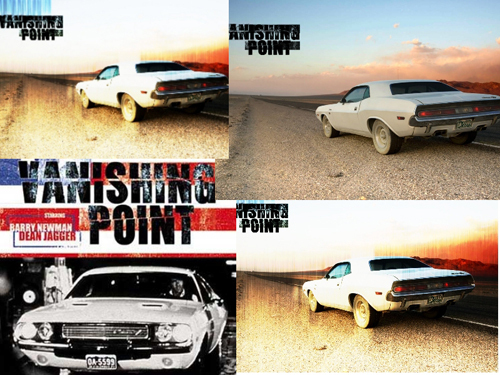 I’ve watched every car/road movie ever made and it’s these following examples that stand out and are memorable to me. If you can think of more examples, please let me know in the comments box. One death in particular yanked on my heart strings when I was at infant school. Thinking about it, the following car (along with the General Lee) sparked my interest in cars. Because our teacher was off sick and their weren’t enough stand-ins to cover, two classes merged together to watch Herbie The Love Bug. I was besotted with the lovable and magical little car… until he tried to commit suicide, that is. Yes, that’s correct: suicide. 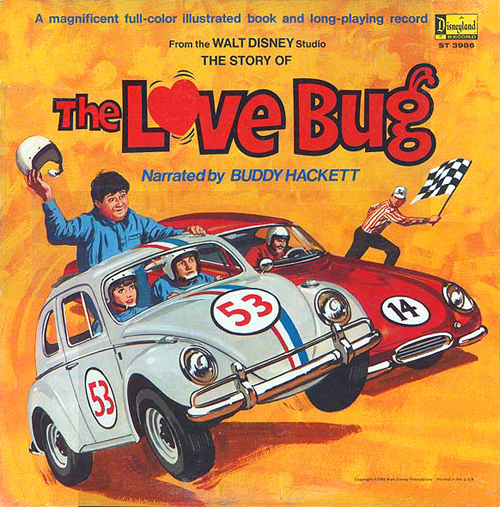 After his racecar driver owner buys an Italian sportscar, Herbie gets jealous, smashes up the red Lambo and trundles (almost drunkenly) around the streets at night, crashing into to things, before mounting a bridge to try and launch himself into a river. The feeble noise Herbie made combined with his desperate attempt to find grip for his launch really got to me and I remember biting my lip so I wouldn’t cry in front of all my mates (and girls). I made the clip, and despite being over 2 minutes long (I had to add the jealous scene as well as the attempted suicide), it tells a tale all on its own. The next car to roll into the eternal junkyard is a very precious machine indeed. Whilst I love the movie and my friends usually laugh at the following scene, I just hate it. I know it isn’t a real Ferrari California that takes a dive in Ferris Beuller’s Day Off, but all the same, it’s horrible to watch. The Ford Falcon with that big supercharger bursting through its hood is one of cinema’s coolest and meanest rides. Four decades after Mel Gibson completely stacked his beloved Falcon in this movie, the automotive world has been replicating the ‘used and abused’ look in recent years. 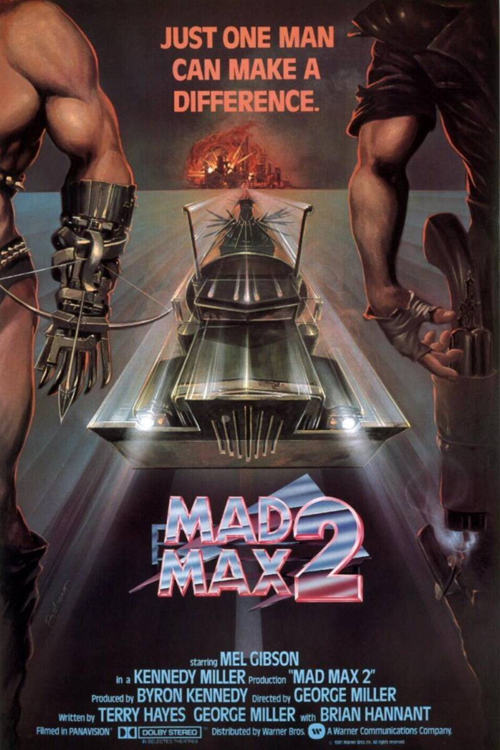 The popular ‘murdered-out’ look combined with the ‘rat’ look surely take their roots from the Mad Max films. 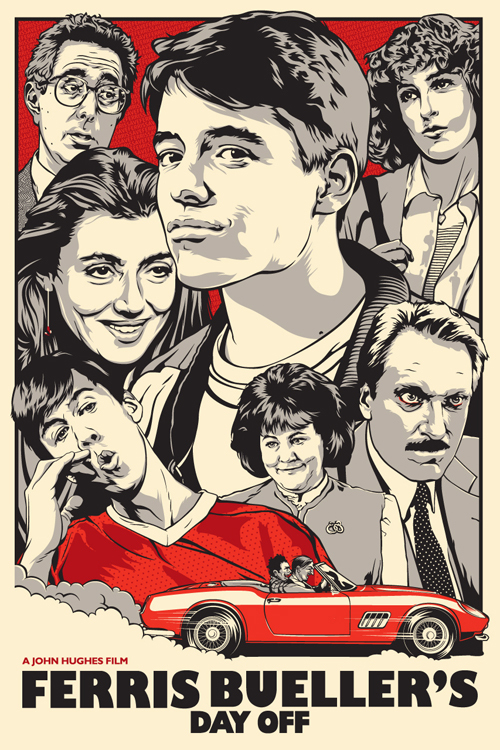 This is my favourite cult movie. Kowalski works for a car delivery service, and after taking on a 1970 Dodge Challenger, he takes a bet that he can deliver from Colorado to San Francisco in 15 hours. Unlike the silly road movies like Smokey and The Bandit, this has a more serious side to it with flashes of back story telling you what kind of a person Kowalski is. When I first watched this as a kid, I didn’t really get why the film ended the way it did, but the more you watch it and understand the moral thread, it makes a statement. Just go watch it if you haven’t already. Kowalski is probably the coolest guy ever to grace the big screen. Every man wants to be him. Gargling Gas has always been obsessed with the sleeper car. There’s nothing more satisfying than driving a seemingly run-of-the-mill car, knowing you have serious power underneath your right foot. 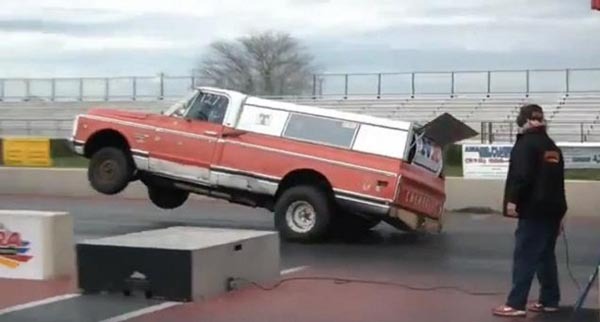 ‘Farm Truck’ from Street Outlaws is sometimes referred to as a ‘Sleeper’, but is it really? If I saw that beat old truck roll up with its tuned engine throbbing and its fat rear wheels, I’d know something was up, especially if they bet me money to race. So what is the perfect wolf in sheep’s clothing? I’ve written a whole host of sleeper-related articles, and this sleeper car link is a great example of them, as they are all A: Wagon/Estates, and B: Powerful and unassuming. This led me to thinking about what other cars would make unsuspecting sleeper cars – after all, Gargling Gas’ sister site, Sleeper Cars, features many types of sleeper. 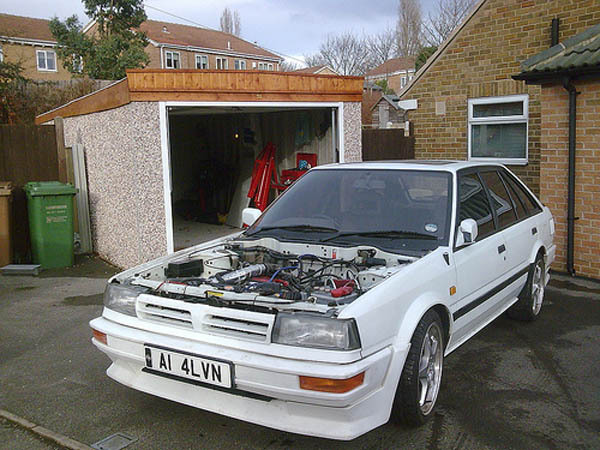 Nothing quite says ‘granny’ than the late 80s Nissan Bluebird. 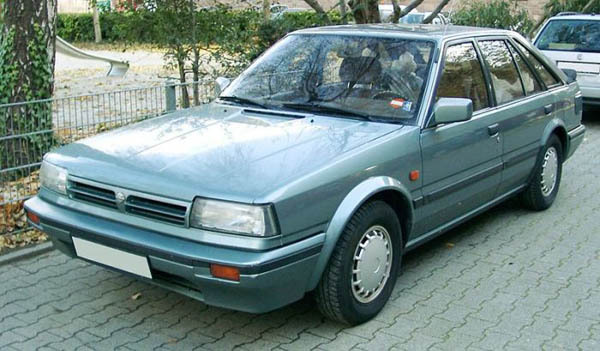 After a little research and luck (Nissan actually attached a turbo to this thing and called it the ZX Turbo), I discovered it would be quite easy to create a 0-60-mph in 6.5-secs granny missile. That sounds rather optimistic, but considering the 1.8-L ZX Turbo possessed 140-bhp and the car itself weighed in at around 1200-KGs, what’s achievable with a little tweaking is pretty plausible. I tried comparing it with something a little younger and came across the Saxo VTS. I owned one of these fantastic pocket rockets, and it was quick. From its 1.6-L 120-bhp engine, it could hit 60-mph in a little over 7 seconds. It weighed in at just over a ton, but considering the Bluebird has the extra 20-bhp and a turbo, the 6.5 second figure could be achieved. 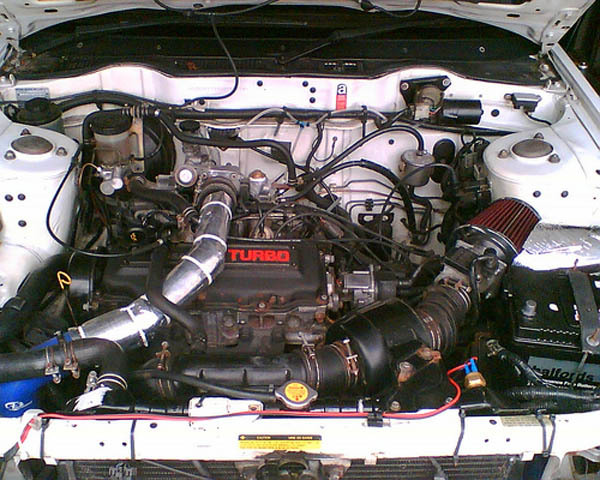 This is where a cold air intake comes in. Depending on budget, you could go further and fit a slightly bigger exhaust for better flow, but ensure it is well hidden so as to avoid being sprung as a sleeper. You want to contain all the mods underneath, hidden and out of sight. The owner of this particular Bluebird installed a manual boost controller, and I’ve heard over 250-bhp can be hit, although for the size and weight, around 160-bhp is plenty to have fun with. After all is done, remove all the ZX and Turbo badges or decals. Remove any sporty trim and try and replace with standard boring trim. You could even sell the alloys and fit standard wheels with dull trims. Probably one of the dullest looking cars on the road, but with a few sly touches here and there, capable of embarrassing cars way out of its league. If you follow Gargling Gas you’ll know the guy behind the words lives in a bit of a fantasy world. Along with muscle cars, sleepers and bad BMWs, there’s a back drop of horror, a world in which driving recklessly hails you a hero. 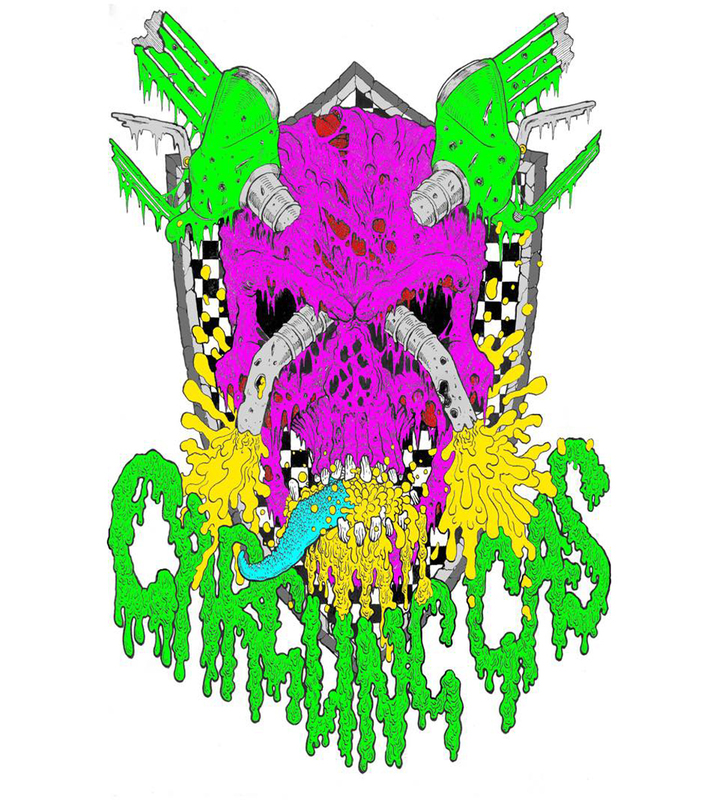 A perfect world would see the movies Christine, Smokey and The Bandit, The Car, Drive and The Cannonball Run all merged into one surreal universe of police chase and murder, a dimension in which I’d emerge the anti-hero. 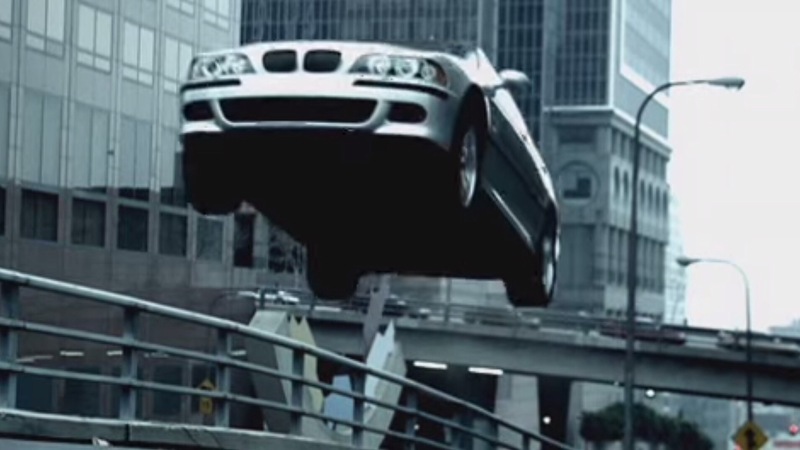 Years back, BMW tapped into this kind of fantasy by releasing a series of 10-min videos. 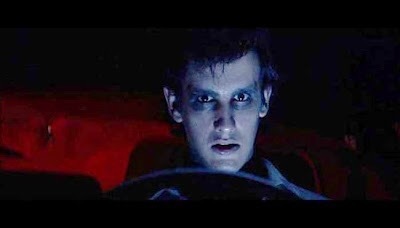 Played by Clive Owen, ‘The Driver’, a hired hand with expert driving skills, finds himself behind the wheel of a BMW. Each episode showcased the latest BMW in a short and snappy storyline. 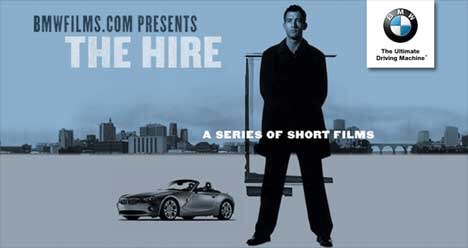 Unsurprisingly, BMW’s The Hire increased sales, and because they featured Fight Club director David Fincher and the likes of Ridley Scott, Tony Scott, John Woo, Ang Lee, Guy Ritchie, Madonna, James Brown and Gary Oldman, they won a few awards. Check out the episode ‘Star’ below, written by Guy Richie and starring wife at the time, Madonna. Our real star of the show is the M5, of course. Gargling Gas adores the battered and bruised, the old dogs that compare and brag about their scars, cars that have served a purpose and clocked up the miles rather than sat gleaming in garages. 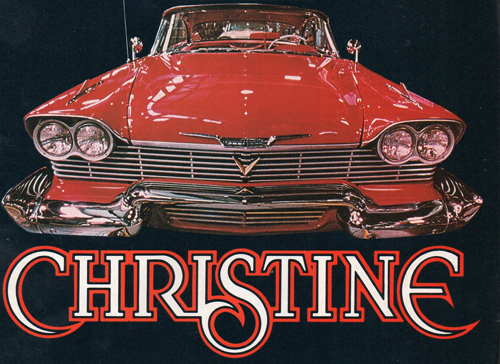 Take Christine’s ugly sister above, for example, a car that has attended the ‘University Of Life’, a mechanical Stephen King that could bend your ears for hours about their road trips, owners, bumps and scrapes they’d been through. Whilst I try and feature all the aspects I love about cars, this post may not resonate with every petrolhead, gearhead or car guy out there. 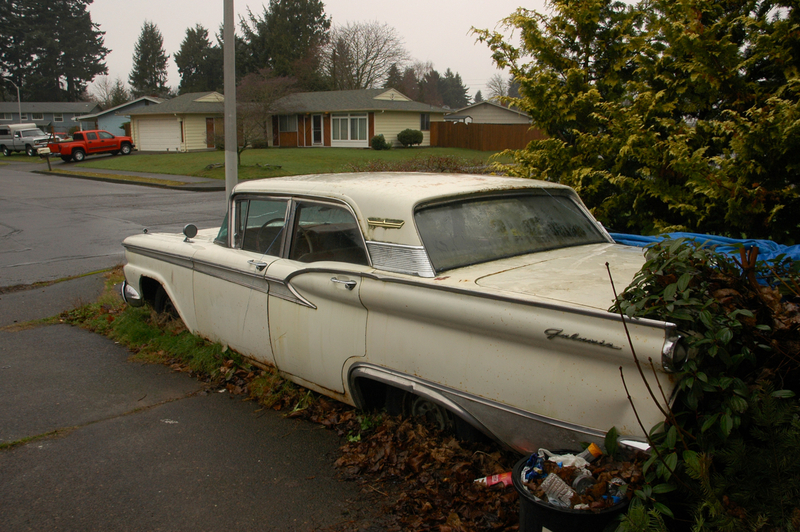 To Gargling Gas, some cars possess character, charm and personality, no matter what their condition. I recently wrote a post on murdered-out cars that partly conveys why I am so passionate about the automobile. 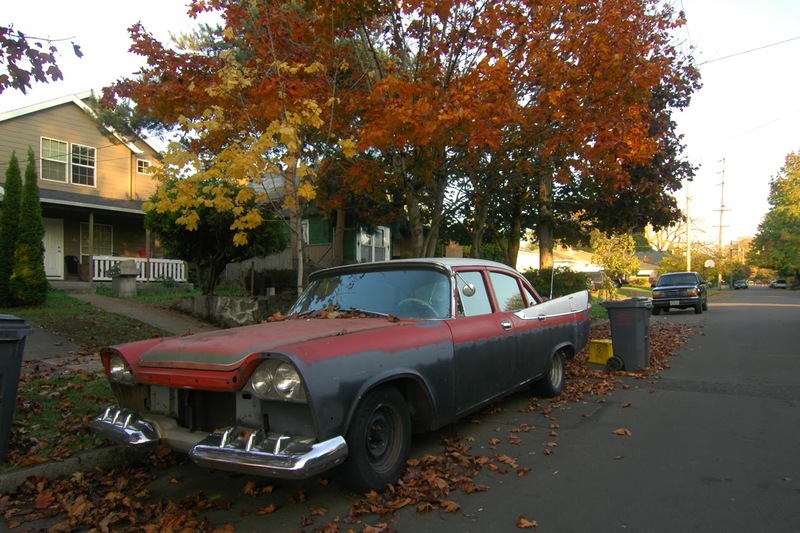 Not many sites are purely dedicated to such a specific aspect about the car, but I stumbled across an amazing place called, Old Parked Cars, and this is exactly what it presents. It reminded me of a guy who published a book solely on atmospheric photos of parked cars, a book I posted about – check it out, Patrick Joust is very talented at capturing just what I’m whittling on about. 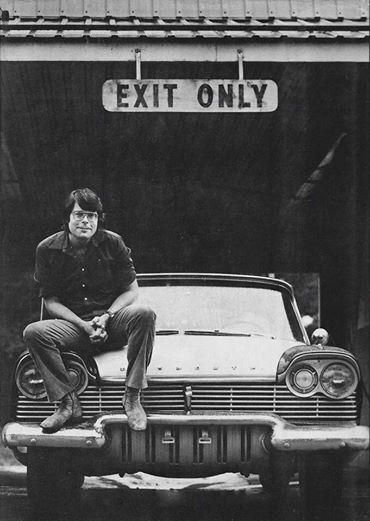 I’ve also previously mentioned the horror author, Stephen King on here. If you are aware of his work you’ll have probably detected his love of machines, trucks and cars. Whilst Joust manages to capture a cars’s presence on film, King does it wonderfully through words – I wrote a post on Evil and Cars and King crops up the most. Actually, now that I’m coming to this post’s conclusion and can see all the highlighted links I’ve added, I’ve just realised I have no conclusion – what I’ve done is unconsciously pieced together a jigsaw of EXACTLY why I love cars – a bit of a long-winded way of doing doing it, I admit, so I apologise if you’ve stuck with it and questioned just what the hell I’ve been banging on about. 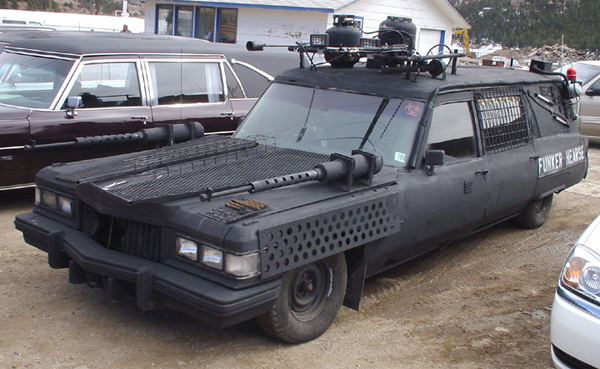 This rather splendid Cadillac is known as the Alexis Funker Hearse. 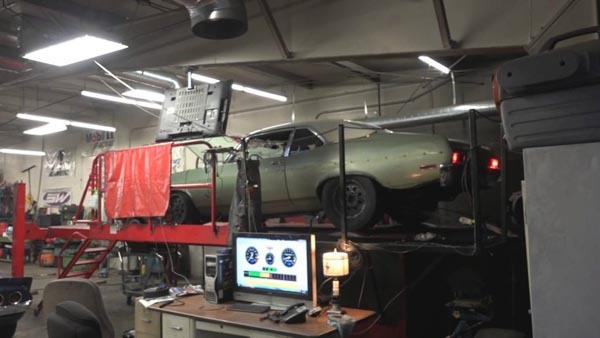 The owner is a kind of odd character, and rather me explain why – although judging by this machine, it’s not hard to understand why – visit Alexis Funker Hearse and watch their videos. They have recently fitted a new flamethrower. Their plan it to eventually fit the entire perimeter of the roof with piping that will emit a dense ring of flames around the entire edge of the roof. Is this road legal? 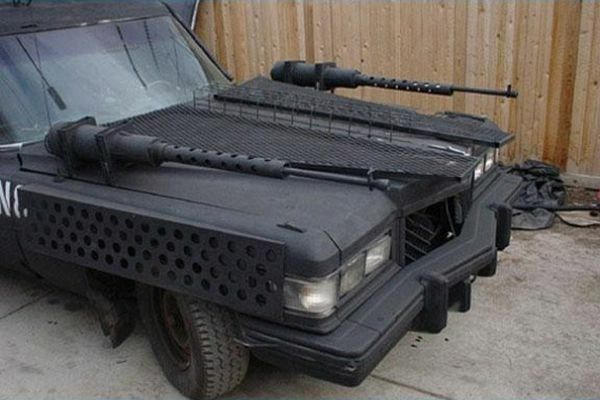 I’m sure this would fail an M.O.T emissions test. It’s been far too long since I posted a good old sleeper car, so I’ll make up for it by posting an absolute monster of a car. 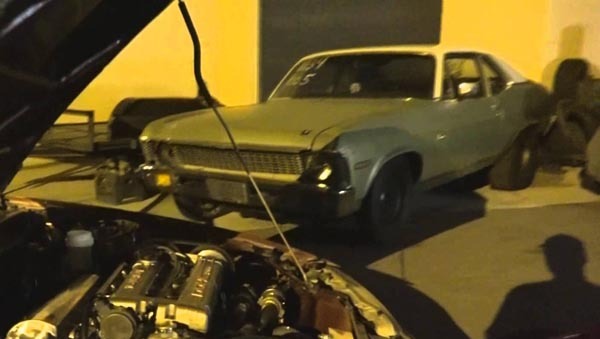 Brilliantly and aptly named, “The Trash Can” is a 1972 Chevy Nova with a little more than just rust and worn seats under her belt. 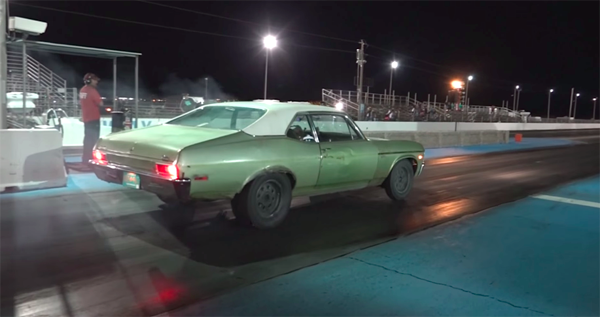 This classic muscle car boasts a 5.3-L V8 heart, and helping this old-timer breath a little better, twin Precision 58mm turbos turn this tired old dog into a purebred greyhound. Gargling Gas loves sheep in wolf’s clothing cars so much, we have a sister page dedicated to Sleeper Cars on G+, so if you think “The Trash Can” is right up your alley, check us out and show us your sleepers. The beauty about this particular sleeper is it covers all the bases when it comes to Gargling Gas’ depiction of the perfect car: Badass, Sinister, Fast, Loud and full of character… after all, cars having feelings too, right? The coolest part about “The Trash Can” isn’t just her badass looks and power; it’s the fact she only cost $4K. Check her out showing off on the strip in the video below.